If you’re a meat eater, chances are you wouldn’t turn down a kebab. I mean, who would? Not the post-club variety, but the round kind that’s spicy, moist and so easy to make you can do it yourself. Don’t think for a minute that chicken kebabs are complicated things. You whizz stuff like onions and coriander in a food processor and then, er, add the chicken. Then you fry them in a pan. Why lump for ready-made ones from the supermarket or expensive ones from the takeaway, when you can make up 16 of these bad boys yourself, freeze 12 and sink your teeth into 4 of them straight away! Exactly. Watch us make them in this video and then click on the recipe. Let us know how you get on. And wave goodbye to the takeaway. 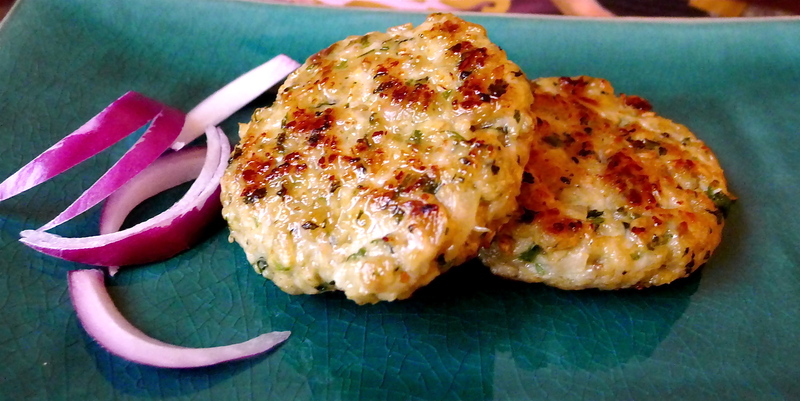 The chicken kebabs are absolutely gorgeous, moist filled with flavor. Everyone loves them.